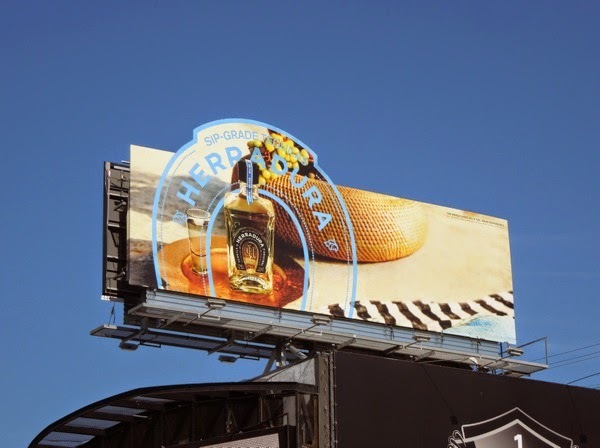 Daily Billboard has featured several Tequila Herradura billboards in the past, but these new creatives have much more of a lifestyle feel about them and don't solely rely on the mandatory bottle product shot to do the job. 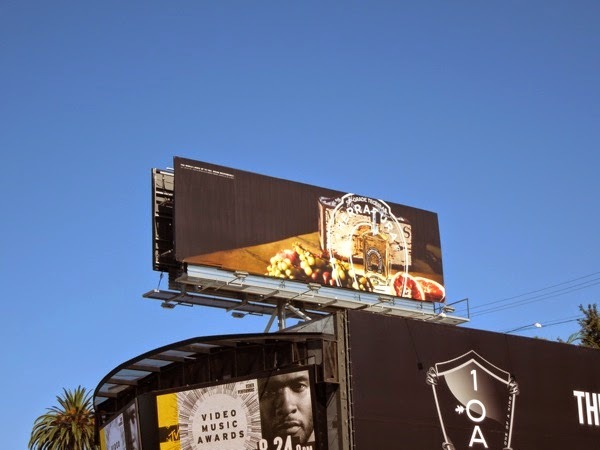 In the past the message was about never compromising when it comes to your choice of tequila, whilst the new campaign builds more of an atmosphere around the brand with imagery, rather than just words. The new billboards also utilise the familiar Herradura horseshoe (the word translated from Spanish) in a more prominent way in the design, even using it for the basis of a special extension in some cases. 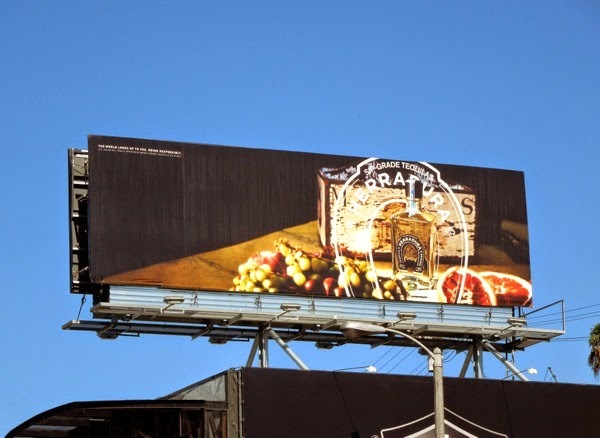 The standard landscape billboard with the grapes in the foreground was first snapped along West Hollywood's Sunset Strip on August 5, whilst the horseshoe-shaped special extension was spotted later that month in the same location on August 30. 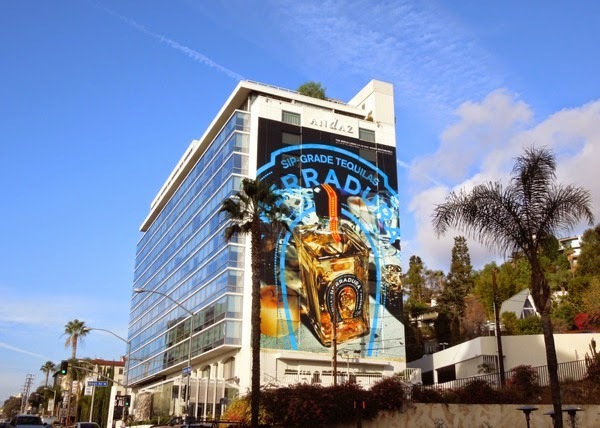 Meanwhile the bold, blue horseshoe giant-sized wallscape was photographed on the side of the Andaz Hotel along Sunset Boulevard on November 13, 2014. 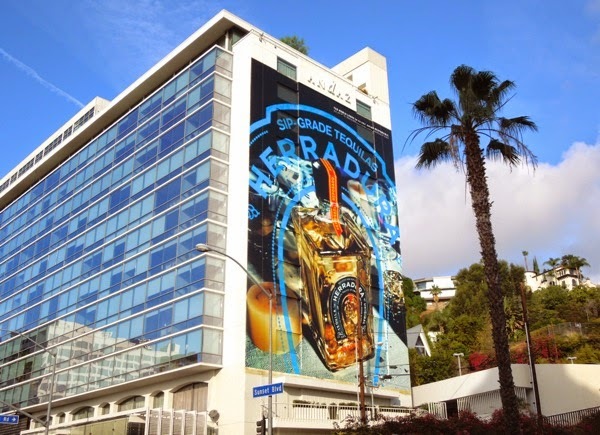 If you look closely the handcrafted Mexican tequila brand has also taken the legal 'drink responsibly' wording and preceded it with the words 'The world looks up to you', to reinforce Herradura's stylish and prestigious image. 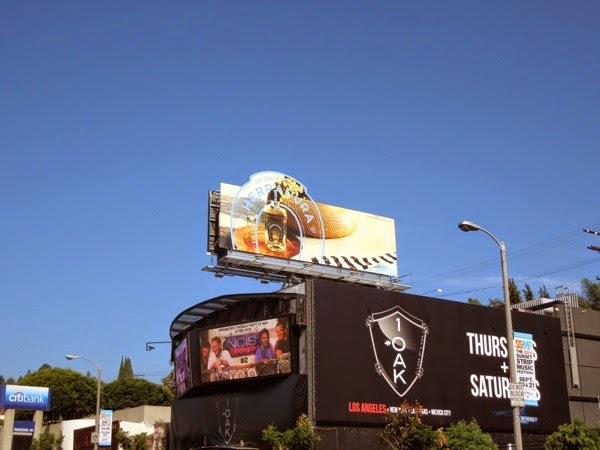 Remember if you're a fan of the blue agave based spirit, be sure to take a look at these other tequila brand billboards to see how other companies sell their wares.